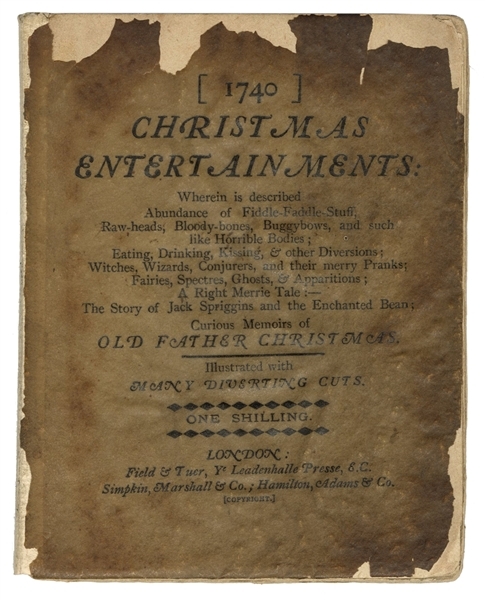 Lot Detail - Christmas Entertainments 1740 (The Vellum-Parchment Shilling Series of Miscellaneous Literature). Christmas Entertainments 1740 (The Vellum-Parchment Shilling Series of Miscellaneous Literature). Christmas Entertainments 1740 (The Vellum-Parchment Shilling Series of Miscellaneous Literature). 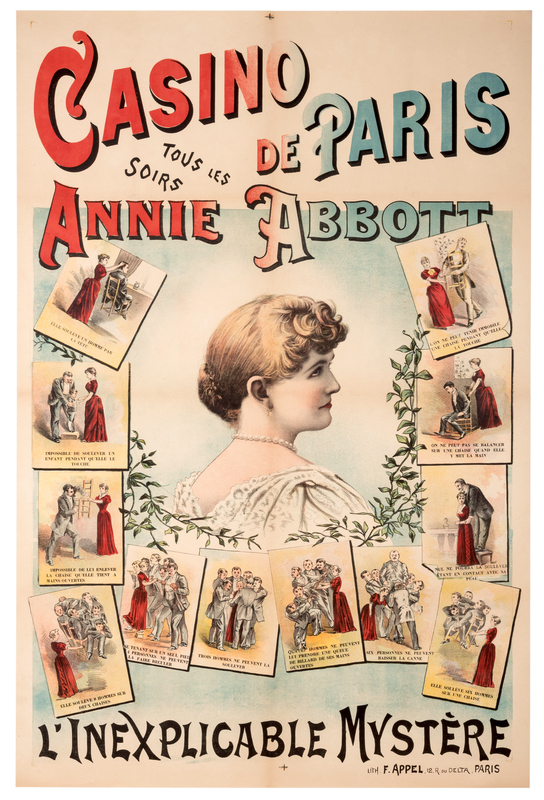 London: Field & Tuer, Leadenhalle Press, ca. 1884. Original publisher’s printed wrappers (considerably chipped). Woodcuts. 16mo. Chapter III: Of Witches, Wizards, Conjurers, and Such Trifles. See Toole Stott 611. A Victorian reprint of a scarce eighteenth century work, Round About our Coal Fire, filled with the “curious memoirs of father Christmas,” as well as “eating, drinking, kissing & other diversions,” as well as “witches, wizards, conjurers, and their merry pranks.” The Publisher’s Note states that the original edition was “worn or thumbed almost clean out of existence, and an original copy now commands more than twice its weight in gold.” That statement nearly holds true today.